The focus, of our consulting practice is the automation of Computer Aided Design (CAD) and Engineering technologies. We are experts at enhancing the capabilities of foundational CAD systems like MicroStation from Bentley Systems, and AutoCAD from Autodesk. We are software engineers, coders, who create amazing applications for vertical programs like Civil 3D and OpenRoads. We also help our customers wrangle large datasets by building integrated solutions between the CAD, databases, and systems like ProjectWise. The team has chosen some service projects to highlight and present as “bundles”. The idea is to provide compact examples of what you might do to make your design process more effective, or in many cases, do something that you may have thought was impossible. It’s not expected that each of these will be an exact fit for your team, but with some modifications we can leverage the code and experiences of these examples to create an amazing app for you. Coding projects do not have to be big, massive, and complex to be effective as is the case with the first three examples. Visual Basic for Applications (VBA) in MicroStation are the primary technologies used by these programs. They are simple and fairly easy to implement. And, better still, each one reduces production hours and human error which improves drawing quality. We will follow with progressively complex examples throughout the year. Changing the revision data in a title block can be time consuming especially if it has to be done across hundreds of drawings. Just the task of removing the oldest revision data and signatures takes more than a second. And, what if you delete the wrong thing – undo, re-do, re-type. 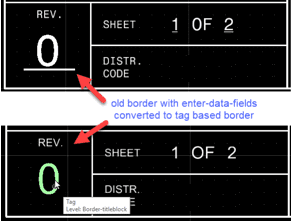 The revision shift command reads the revision shift title block tag data, removes the oldest row, then “shifts” the block up leaving the most recent revision block empty ready to accept new dates, descriptions, and approval initials. There is no copy-paste, or tag editing, the program does all the work and it completes the task in milli-seconds. If your client uses ProjectWise, chances are they have created new borders containing Tags. But hey, you are tasked with updating an older installation and the drawings the client gave you are pretty old and still use title blocks containing text and/or enter data fields. Now what do you do? Many firms commit to changing out the borders one element at a time. This can add hundreds of hours to the drafting time, and errors will be made. Phocaz has developed tech that can automate this process. Now, a task that used to take hundreds of hours per project is reduced to a few minutes. The program we created reads the legacy title block information and loads it into the appropriate tag data field – no typing required. The image only shows the revision number, but this title block actually has 43 text elements. Copying each text string from the old title block to the data fields in the new title block was taking more than an hour per drawing. The program Phocaz created takes about a second. Further, this tool was modified to process multiple drawings (batch process) – so the design team can now run this program at the beginning of a project and swap out all of the old title blocks with new, fully populated title blocks. Your approach to final packaging of a project’s electronic deliverables can be and afterthought or it can be a business differentiator. Whether you are aware of it or not, your team has to do some house-keeping on all CAD files before these are handed-off to the customer/owner. This would be operations that go beyond basic CAD standards. In MicroStation your team might be turning on/off views, on/off levels, and setting file attributes. And in AutoCAD this could be turning on/off layers, window to a specific coordinate, running purge, and making model space the active tab. It’s also likely that your team is burning a lot of project hours to accomplish these tasks because they are making these settings one at a time and on one drawing at a time. Instead, what if they could accomplish this entire task in just a few seconds and with consistent results. That is, they don’t miss a step or turn on the wrong layer. We can help. You tell us what final state the drawings need to have, and we will provide a script, or program, that will process the drawings in seconds. Many of the programs we design, build, and maintain fit into a category called smart tools – versus productivity tools that batch changes, like Project Final. With smart tools, the user’s input is usually directed through a GUI. 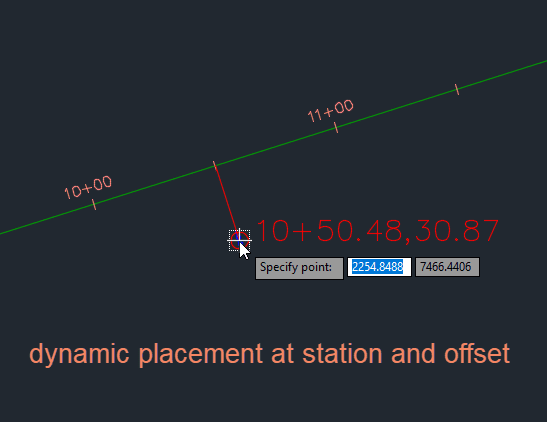 Dimensional parameters and properties are controlled through this interface. And, almost always there is extended data added to the drawn entities (elements in MicroStation). This extended data can be reported, and it can be used to automate subsequent drawing actions. In the following sections we will highlight specific smart tools to demonstrate how add-ins can automate and standardize work process. As a function of a larger road sign program built for a state transportation department, the post placement command represents a good example of how we might automate the placement of a CAD entity based on existing data and drawing entities. Imagine if we could place a block (cell in OpenRoads) by specifying station and offset, then automatically rotate it to match the direction of travel along the highway. Further, consider appending xdata to the block. 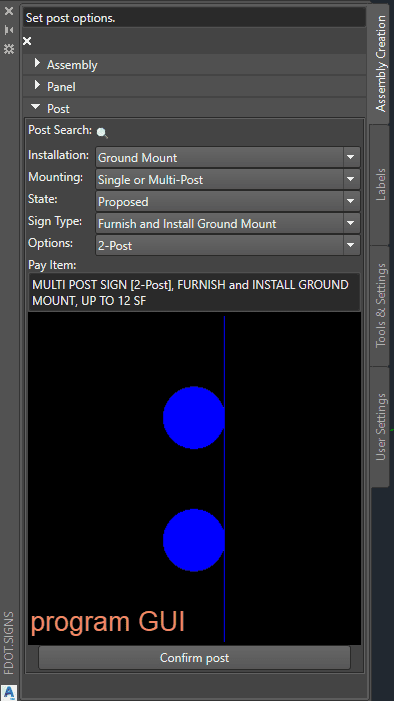 If we did this, we can use it to automate label placement, and later generate estimates based on pay items that are also stored on the sign post block. This is exactly what we have been able to accomplish in our signs program. And, we have replicated the work flow in both Civil 3D and OpenRoads designer. Below are some images from the program. Demonstrating placement along an alignment and post labels. Figure 1: Program GUI for Post Selection – Pay Item is discovered automatically based on user input. 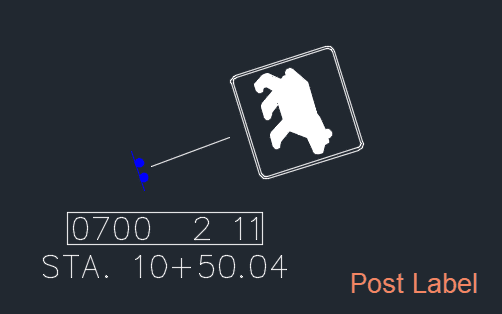 Figure 2: Placement is dynamic and post rotates to match direction of travel. 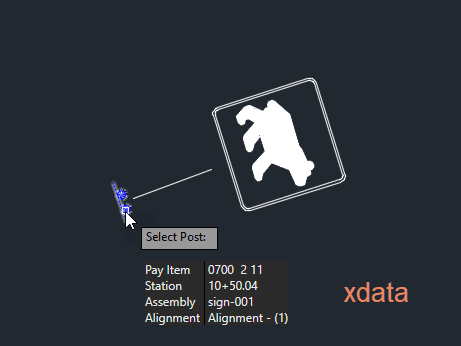 Figure 3: Mouse over post to see xdata. Also (not shown) the post is rotated during placement to match the direction of travel.